Hey, remember when told you I had signed up for the Rock 'n Roll Marathon because, having survived the frigid temperatures of the WDW Marathon, I was willing to take my chances on the weather? Look, just... I don't know. Send me warm thoughts and all the blankets you own, okay? All I can do is wear every long-sleeved shirt I own, get out there, and see what happens. Here's hoping! Will you be at the race? What are your best cold weather running tips? 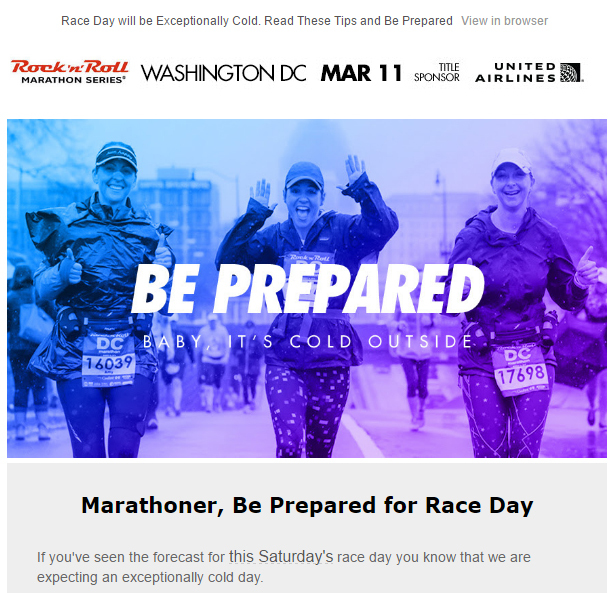 I already have a hat, gloves, and a pre-race throwaway layer.